Smoke Version. This is our popular cast aluminum muffler enhanced with an extra pipe to allow the big ones to breathe. 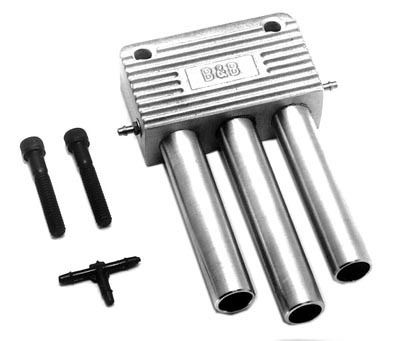 The three 5/8'' diameter free flow exhaust pipes can be trimmed to fit your installation.